In 2001 as a your Orange County false arrest lawyer with less than three years of experience I took over a case that another attorney had lost interest in. The case involved a man who had gone shopping to a major national chain store and when he had left the location he was approached by the store’s loss prevention and accused of stealing a pair of jeans. My client (we will call him M) had told the store employees that the jeans in his bag were his and he was simply thinking of returning them and had changed his mind. According to M the store employees had then began to forcefully trying to get his bag form him and to arrest him and he had resisted as he was at that point concerned that were actually planning on robbing him. As a result of the altercation M had suffered severe injuries to his knees and some injuries to his face. What made his other attorney “drop” the case was the fear that once the jury learned that M had multiple convictions for burglary and had spent time in prison they would not vote in his favor. Also, mysteriously enough at the exact time of the physical altercation the store’s surveillance cameras had changed the direction of recording and the incident was not captured on tape! I took the case. Went to trial and against all odds beat the high priced attorneys hired by the national chain! My client was vindicated and he received a decent judgment from the jury. 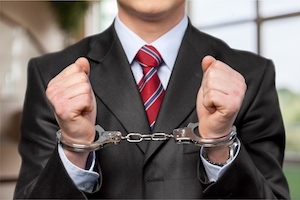 If you or a loved one has been falsely accused of anything and arrested as a result of a merchant’s false claims, or has been physically inured due to excessive force used by “loss prevention” employees or by law enforcement officers or has been falsely jailed for a crime he did not commit call us today. I have litigated cases against local law enforcement agencies and major corporations my entire career. I have settled cases involving failure to protract, premises liability, excessive force and false arrest in Riverside, Los Angeles, San Bernardino and Orange counties. Our Orange County criminal defense Attorneys know the Federal Sentencing Guidelines thoroughly. Difference between hiring us or an attorney less experienced can be months or years! Contact us today for a free consultation at (714) 705-6701.